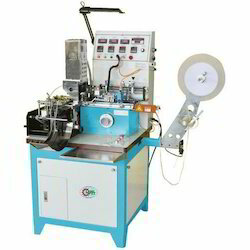 Providing you the best range of automatic garment label cutting machine, numerical control ultrasonic label cutting machine, automatic ultrasonic label cutting machine, special function label cutting & folding machine, ultrasonic label cut and fold machine and automatic label cut and seal machine with effective & timely delivery. Our organization is occupied in offering an unmatched quality range of Automatic Garment Label Cutting and Folding Machinery. We manufacture these by using a superb quality basic material in compliance with industrial quality norms. To cater the various needs and expectations of clients, these flanges are provided with varied unmatched features. Our offered LT-MF-86 Automatic Label Cutting And Folding Machinery are strictly checked by our trained quality analysts to ensure their durability. Our ranges of products have supreme strength as they are quality tested in a different operation of the company. 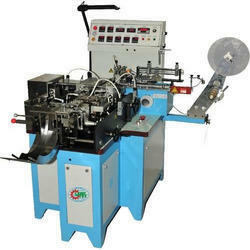 The LT-838 model is suitable for centrefold and piece cut in printing label with Ultrasonic Function. It has Numeric system easy for adjustment. It is an easy and quiet operation with no mechanical adjustment. User-friendly interface which is easy for setting and operating. The LT-838 model has the function of regular waste removal, pressing line on labels, electrostatic feedback and so on. LT-090 is used for sealing the edges of the label to give a smooth feel and has become an important and high demand in the garment industry. The machine can cut only printed labels. 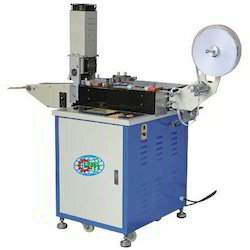 The machine has electrostatic charge discharger so that the labels can be stacked well and does not stick with edges of the blade. It has conveyor belt system(It is the Optional). 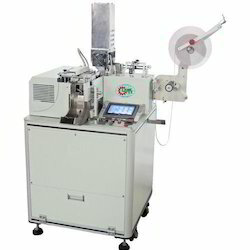 The LT 168 + LT 368 model is suitable for use as a dedicated pocket fold and end seal fold machine. It is designed by two main parts and one of them can be separately used as an ultrasonic cutting machine. 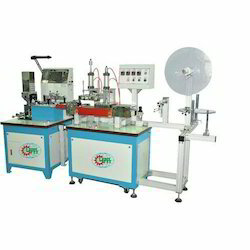 Every Part of the machine has been modified to make it simple and convenient to use. The most Distinctive Features: Adjustment the length of the label have printed designing don't need to replace and mode. It is easy & Convenient to operate. LT-080 is a combination of hot and cold cutting function. Cold cutting is applicable for cutting paper, nylon taffeta tape etc. and hot cutting is applicable for polyester tape, woven cotton etc. with cutting lengths from 1-999 mm the machine can be cut the tape by fixed or unfixed-length in one cutting cycle with the help of PLC control system. 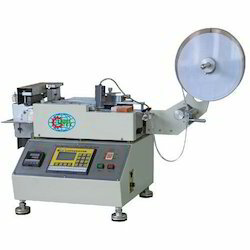 Looking for Automatic Garment Label Cutting & Folding Machine ?